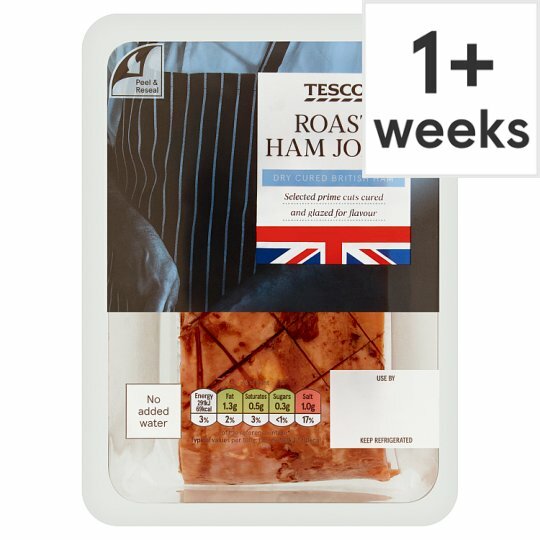 Cured, cooked and roasted formed ham made from selected cuts of pork leg meat with a caramelised sugar syrup glaze. British Pork Select prime cuts cooked and roasted for flavour We work with a long established group of dedicated farms using hand butchered selected cuts of pork leg. The ham is then roasted to give a fuller flavour and succulent texture. Pork, Salt, Brown Sugar, Stabiliser (Sodium Triphosphate), Caramelised Sugar Syrup, Antioxidant (Sodium Ascorbate), Preservative (Sodium Nitrite).